Are you driving your partner crazy at night with obnoxiously loud snoring? If so this can put a real damper on sleep time especially if the snorer goes to sleep first. So what causes snoring and what can you do to reduce it? I’m glad you asked. 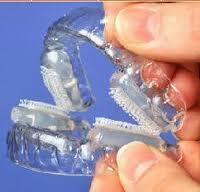 Well for starters there are different causes of snoring as well as different solutions depending on the cause. 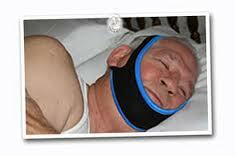 For sleep apnea consult with a doctor. Regular snoring is usually caused by a breathing issue stemming from either a blockage in the nasal passage , a weight problem, and sometimes food related. For my own snoring problem I’ve noticed the elimination of dairy does wonders for my breathing as well as consuming less in the evenings. There are many solutions to reduce snoring such as nasal stripes, nasal irrigation, weight reduction, mouthpieces, dietary modification, chin straps, pillows, rings, etc..
Finding out what is causing the problem is the first step. To do this you will have to monitor your snoring by either recording yourself sleeping or have your partner observe. Then when you find out the cause , you can work on the solutions. For starters, avoid drinking alcohol or taking sedatives before going to bed as they will cause your throat to lose muscle tone which will allow snoring to happen. Stay hydrated during the day to keep the nose and soft palate refreshed. 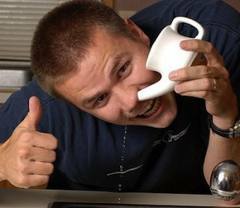 Make sure your airways are open by using a nasal strip or a neti pot to drain the nasal passages. Also you may want to take a steamy shower with menthol scents to break up congestion. Quit smoking. You can also sleep on your side as back sleepers have a tendency to snore as the tongue and soft palate fall to the back of the throat in this position. I am a back sleeper so I use the nasal stripes and neti pot, but what helps the most is just being healthy and eating the right food and getting exercise, staying hydrated, and getting quality sleep. When I over eat, stay up to late, eat cheese or dairy , or engage in argumentative conversations I usually have a animalistic heavy snore. I take it is a sign that I need to make some modifications in my lifestyle. Please feel free to experiment with these methods and soon you will enjoy sleeping in the same room with your partner in peace and tranquility.